A number of recent threats and attacks on critical voices are raising concerns that freedom of expression is under threat in Serbia. Recent examples highlighted by the Association of Jourrnalists of Serbia (UNS) include threats to a journalists by a local tycoon in Kula; officials from the city of Valjevo referring to journalists as 'cancerous tissue'; and verbal attacks on journalists by the mayor of Smederevo. Local groups report that these threats are being made at a time when conditions for investigative reporting show little sign of improving in Serbia. Recent negative rhetoric by authorities about CSOs that receive foreign funding has also set a worrying precedent which risks normalising attacks on independently critical voices. 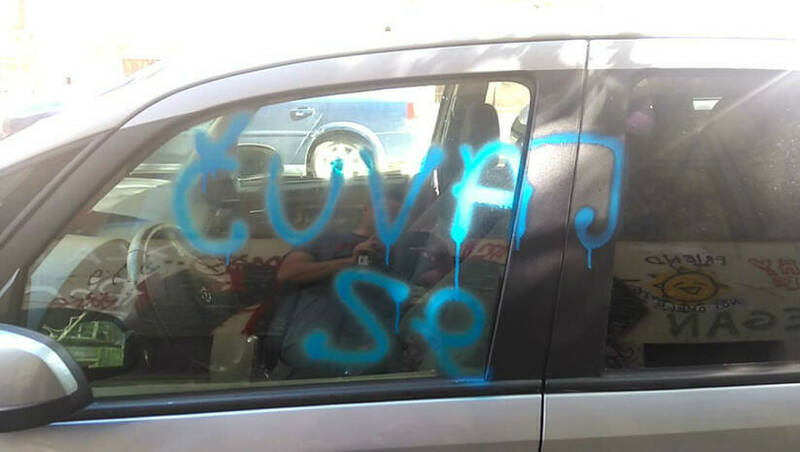 On 29th September, Predag Petrovic, the Executive Director of the Center for Security Policy had his car vandalised with the threatening message "be careful". His organisation has recently been critical of the government's policy on security sector reform. In another incident, the Director of the Center for Euro-Atlantic Studies received threats connected to the organisation's receipt of funds from George Soros' Open Society Foundation. The authorities in Serbia are also using the legal system to target media outlets. The interior minister has attempted to sue those that published an article drawing attention to the rapidly closing space for dissent. Political purges are also continuing at Radio Television Vojvodina (RTV) in an attempt to impede the public broadcaster's coverage of political events. In the most worrying attack on the broadcaster to date, on 13th September RTV journalist Visoko Ismar Imamović was brutally beaten by an unknown assailant. Of late, there have been a litany of other threats, attacks and intimidation used against media outlets. For instance, the president and program editor of the Independent Journalists' Association of Vojvodina received gruesome death threats via letter and Facebook. Separately, a photojournalist was banned from filming and a reporter living with police protection has been subjected to threats via Facebook. In another recent development, it was reported in early October that Dusan Petricic, a cartoonist with Politika was fired for mocking the Serbian Prime Minister. UN Special Rapporteur in the field of cultural rights Karima Bennoune expressed her concerns about Petricic's dismissal and a general lack of protection by the state for freedom of expression in Serbia. Meanwhile, the pro-government publication Informer published front-page stories accusing female activists of being spies and orchestrated a smear campaign against journalist to accusing him of being paid to create chaos. The Let’s Not Drown Belgrade civic movement has been actively protesting against a controversial Waterfront project that seeks to redevelop an area of Belgrade into luxury apartments. The group protested against the impending eviction of the last family living in the Waterfront area and has been mobilising to draw attention to the lack of accountability for alleged nighttime demolitions. Let’s Not Drown Belgrade’s unofficial protest concert on the anniversary of the Second World War liberation of Belgrade, was held in Niš during government’s working visit to Nis. State authorities attempted to deter anti-Waterfront activists from reaching protests by repeatedly interrogating activists from several cities. Activists representing people with disabilities protested outside of the Ministry of Labor, Employment, Veteran and Social Affairs in Belgrade to draw attention to 16 recent demands made to the authorities. The activists want greater allowances for carers and improvements to accessibility across Serbia. 350 refugees and migrants marched from Belgrade demanding free passage to Hungary. LGBT activists, supporters and politicians marched during the Pride Parade in an event that took place without incident. Far-right CSOs within the National Serbian Front marched against EU integration. Women in Black held a performance on World Peace Day to highlight the plight of refugees.